Neuroelectromagnetic Forward Head Modeling Toolbox (NFT) is a MATLAB toolbox for generating realistic head models from available data (MRI and/or electrode locations) and for computing numerical solutions for the forward problem of electromagnetic source imaging. The NFT includes tools for segmenting scalp, skull, cerebrospinal fluid (CSF) and brain tissues from T1-weighted magnetic resonance (MR) images. The Boundary Element Method (BEM) is used for the numerical solution of the forward problem. After extracting the segmented tissue volumes, surface BEM meshes may be generated. When a subject MR image is not available, a template head model may be warped to measured electrode locations to obtain an individualized head model. Toolbox functions can be called from either a graphic user interface compatible with EEGLAB, or from the MATLAB command line. Function help messages and a user tutorial are included. The toolbox is freely available under the GNU Public License for noncommercial use and open source development. 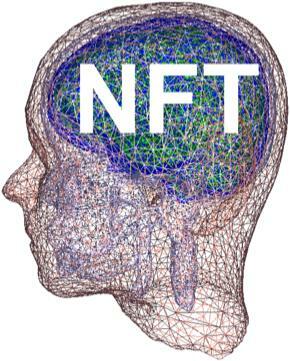 The NFT is released under an open source license, allowing researchers to contribute and improve on the work for the benefit of the neuroscience community. By bringing together advanced head modeling and forward problem solution methods and implementations within an easy to use toolbox, the NFT complements EEGLAB, an open source toolkit under active development. Combined, NFT and EEGLAB form a freely available EEG (and in future, MEG) source imaging solution. 1. Segmentation of T1-weighted MR images: The preferred method of generating a realistic head model is to use a 3-D whole-head structural MR image of the subject's head. The toolbox can generate a segmentation of scalp, skull, CSF and brain tissues from a T1-weighted image. 2. High-quality BEM meshes: The accuracy of the BEM solution depends on the quality of the underlying mesh that models tissue conductance-change boundaries. To avoid numerical instabilities, the mesh must be topologically correct with no self-intersections. It should represent the surface using high-quality elements while keeping the number of elements as small as possible. The NFT can create high-quality linear surface BEM meshes from the head segmentation. 3. Warping a template head model: When a whole-head structural MR image of the subject is not available, a semi-realistic head model can be generated by warping a standard template BEM mesh to the digitized electrode coordinates (instead of vice versa). 4. Registration of electrode positions with the BEM mesh: The digitized electrode locations and the BEM mesh must be aligned to compute accurate forward problem solutions and lead field matrices. 5. Accurate high-performance forward problem solution: The NFT uses a high-performance BEM implementation from the open source METU-FP Toolkit for bioelectromagnetic field computations. Matlab 7.0 or later running under any operating system (Linux, Windows). A large amount of RAM is useful - at least 2 GB (4-8 GB recommended for forward problem solution of realistic head models). The Matlab Image Processing toolbox is also recommended. Send private comments and inquiries about NFT to nft@sccn.ucsd.edu. Send questions or comments about NFT usage and principles to the EEGLAB Discussion List.